Click here to download a professional development grant application. The Deborah and Morton Mitnick Jewish Education Conference is an opportunity for Jewish educators in Greater Hartford to come together for professional development and community building. Partially supported by a grant from the Deborah and Morton Mitnick Jewish Education Fund of the Jewish Community Foundation of Greater Hartford, this conference honors Deborah and Morton Mitnick, Greater Hartford Jewish residents who shared a love of learning and education. 2016 Students as Investigators: Project Based Learning with Meredith Katz, Ed.D. To learn more, please contact Carrie Berman. CJEL Fellows is an intensive two-year professional development program designed to help synagogue school teachers build their classroom skills and more effectively serve their students and the Jewish community. 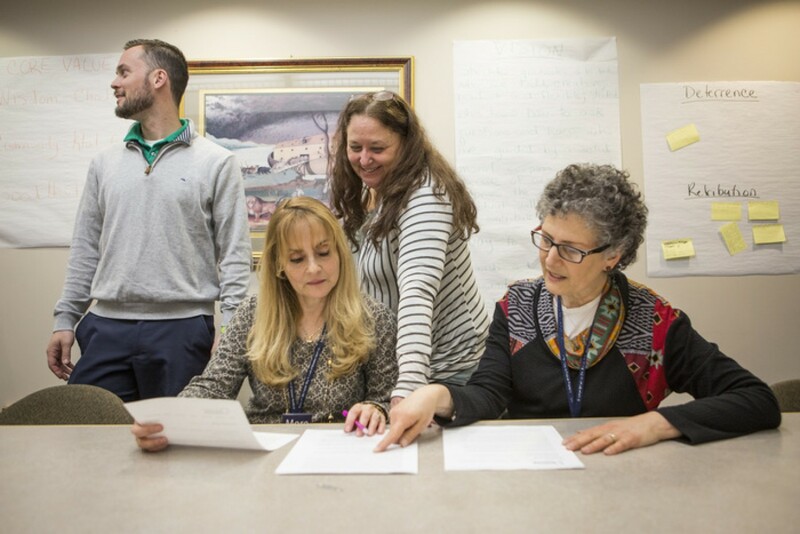 Four local Jewish educators are currently enrolled in the pilot program, which began in spring 2018. They will receive two years of training in Judaic content and pedagogy, attending at least 10 professional development sessions each year, led by a team of master educators. Upon completion of the program, they have committed to continue teaching in Greater Hartford’s synagogue schools for at least another two years. They will use their advanced skills to build a community of practice in Jewish education and to mentor other teachers. Through the generosity of the Jewish Federation of Greater Hartford, the Commission on Jewish Education and Leadership (CJEL) partners with Gratz College to provide free, high quality, online classes for supplementary school educators. The classes cover a wide range of Jewish knowledge and pedagogic skills and are an effective and inexpensive way to support supplementary school education in our area. You can find registration and other information here or contact Carrie Berman. Every year, teachers and schools have the opportunity to apply for a $500 grant from the Alfred and Helen Weisel Education Endowment Fund of the Jewish Community Foundation. These grants were established to assist schools, synagogues, and institutions in expanding educational opportunities for students and families. The grants help teachers create new and exciting programs for each school year. Every year, CJEL recognizes schools and/or individual teachers who have made an impact on their school and community with innovative programming for students and families. We do this via Innovative Program Awards and Innovative Family Program Awards. The Greater Hartford Jewish community also takes great pride in the number of teens who stay on as aides and role models in their congregational schools after becoming B’nai Mitzvah. We recognize these students through the Uniquely Effective Madrichim, or teen aides, Awards. CJEL staff is happy to provide schools with consultation services. Through our CJEL Star membership, schools receive up to four professional development session for their teachers. CJEL consultants are also available to observe teachers, visit schools, and provide educational resources to local educators regarding lessons and curriculum, professional development, and strategic planning. CJEL also assists schools and teachers with staffing needs and job placement. Resumes may be sent to Carrie Berman to be forwarded to the Jewish schools any time throughout the year.